I don’t usually write about movies here but since I saw Inside Llewyn Davis for the second time, I haven’t been able to get it out of my head. I think it’s nigh-on perfect: it’s not just one of the Coens’ best movies, it’s the best I’ve seen in the past year or so. And I feel compelled to argue its case to all the music journalists I know who, dismayingly, hate it. And it’s fun to write about so bear with me. Obviously this contains spoilers up the wazoo so don’t read if you haven’t seen the movie yet. Firstly, what’s up with the guy in the alley? Hans Georg-Gadamer was a philosopher working within the field of hermeneutic theory, which investigates the ways in which interpretation works, and how we come to understand things in the way that we do. He is a thinker deeply steeped in the Western philosophical tradition, but I came to him for his influence on literary theory, as Gadamer is also working within the tradition of German philology, from which Erich Auerbach, the author of Mimesis: The Representation of Reality in Western Literature also emerge. 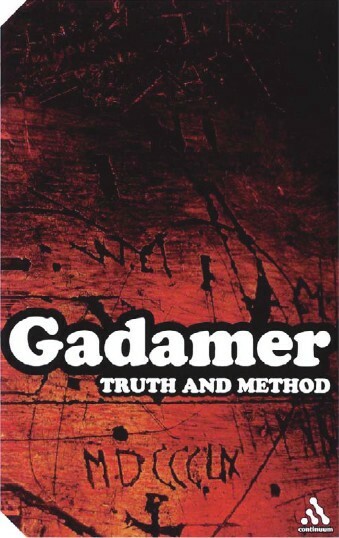 This post will deal with his theories as they are laid out in Gadamer’s magnum opus, Truth and Method. The first thing to know about Gadamer, is that he was a student of Martin Heidegger, which is very significant for those approaching his works. Not only does this require of us a sensitivity to their political resonance, which does, at times, veer towards justifying totalitarianism, but also allows us to detect subtle tendencies towards Heidegger’s philosophical thought, such as those on the nature of Dasein. One of Gadamer’s objections to hermeneutics is its perceived aspiration towards practicing it objectively, or with a manner of disinterestedness. Gadamer traces this positive valuation of objectivity back to the Enlightenment, which argued for a scientificist ideology within the human sciences. One might recall Heidegger’s own vision of modern society as overly mercantilist and alienating, pursuing things for their ends, rather than treating things as ends in themselves. If restoring the temporal angle to a work of art sounds familiar it should, as it recalls one of the most significant things Heidegger identified relating to the nature of Dasein, namely, its temporal quality, and therefore, its being in a constant state of becoming. This is ontology as process, and it is something that we as interpreters should be aiding, rather than stymieing. We should never be trying to ‘resolve’ a work of art, but open it up to further questions. It is fortunate then, that Gadamer believes that this happens automatically, in the course of a very interesting process called ‘play’, a full account of which I won’t provide here, because I’m primarily interested in Gadamer’s notion of style, which he outlines in a fairly brief appendix to Truth and Method. Gadamer objects to the notion of style, seeing it, as any good philologist would, within a genealogy. For Gadamer, its meaning has changed over time, but in some originary sense, it owes its significance to jurisprudence, and the way in which one would conduct a trial along pre-determined lines. This manner of conducting trials led to the idea that a particular style of writing can be deployed incorrectly, in a way inappropriate to the occasion. An artist creates a style when he is no longer just engaged in imitation but is also fashioning a style for himself. Although he ties himself to the given phenomenon, this is not a fetter for him. He can still express himself in the process. Therefore style is a social, collaborative phenomenon, which happens when one draws on a tradition which exerts influence over you, while maintaining one’s own idiom. However, for Gadamer, this instantiates a notion of inherency or essence that recalls the jurisprudence argument, the appropriateness of style, from which we derive its normative, or oppressively standardising vibe. While accepting that Gadamer is dealing with this in a three-page appendix, I think his argument is slightly thin in this instance, he goes on to say that style refers to something ‘fixed’ and ‘objective’ within works of art. This notion is inscribed by the historically effected consciousness, or the wirkungsgeschichtliches Bewußtsein, which allows us to compartmentalise each epoch along straight lines, rather than doing justice to their complications and ambiguity. Classificatory approaches along the lines of style, Gadamer argues, do us no good. Chris Beausang was born, and continues to live, in Dublin. He is a PhD student in NUI Maynooth carrying out research on modernist aesthetics and its resurgence within the novels of contemporary authors Anne Enright, Will Self and Eimear McBride. He has written dissertations on Roddy Doyle and Samuel Beckett. He is currently working on his first novel, an excerpt from which has been published in Gorse. He has also had short fiction published in The City Quill and The Behemyth.